In order to keep your assets protected and distributed in a way you want after your death, creating a will can be an excellent option. Still, you can’t always be sure that your wishes will be upheld, especially if your will isn’t entirely iron-clad. Sometimes, wills can be challenged by well-meaning, but dissatisfied, family members. When you make your will, you’ll want to see a doctor, preferably psychiatrist, to verify that you are in a healthy mental state and in full control of your faculties. 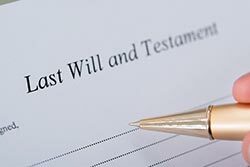 Some wills are contested, claiming that the creator of the will wasn’t of sound mind when they wrote the document. Having this verification signed and sealed in the actual document can help reduce this risk. Having a no-contest clause in your will may further reduce the risk that someone will challenge what you have written. If a beneficiary challenges something in your will and loses, they are forced to give up what was given to them in the will. Having this clause can help protect your wishes. If you’re wanting to put together your will, you probably don’t want to go into it by yourself. Seeking professional legal advice is essential for making sure your will is built to last, meaning your assets are being directed to the people and places you choose, not the other way around. 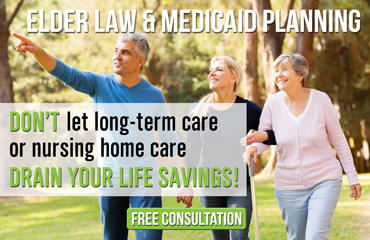 The Elder Law Firm PC can help you plan for the protection of your assets and guide you in creating your will. If you have a question regarding wills, or you’re wanting to draft a document as soon as possible, contact as at (877) 933-7252.